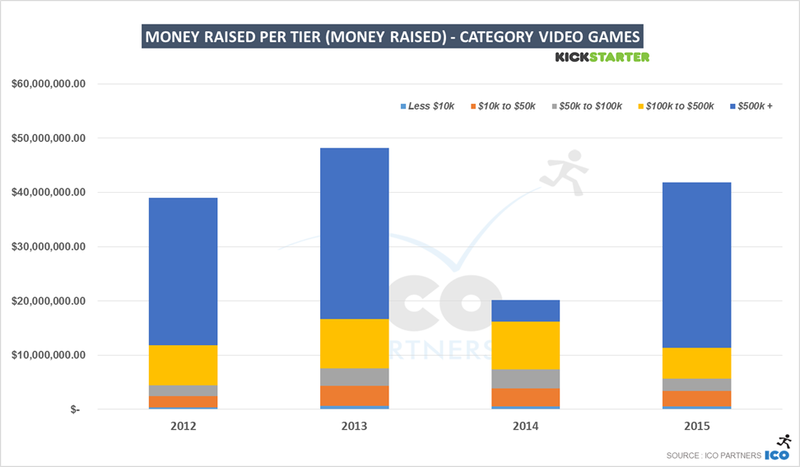 The fine folks of GamesIndustry.biz have invited me to be part of their year end series to write an article on crowdfunding and video games in 2015. 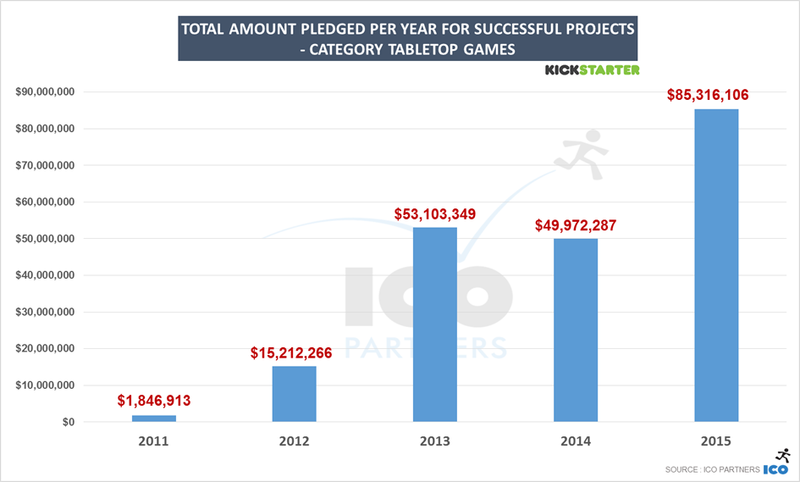 I used to check Kickstarter numbers every month. But as things were getting busy on other fronts, I settled to check on the numbers every quarter, or when I have a conference coming up where I am talking about the topic, whichever happened first. 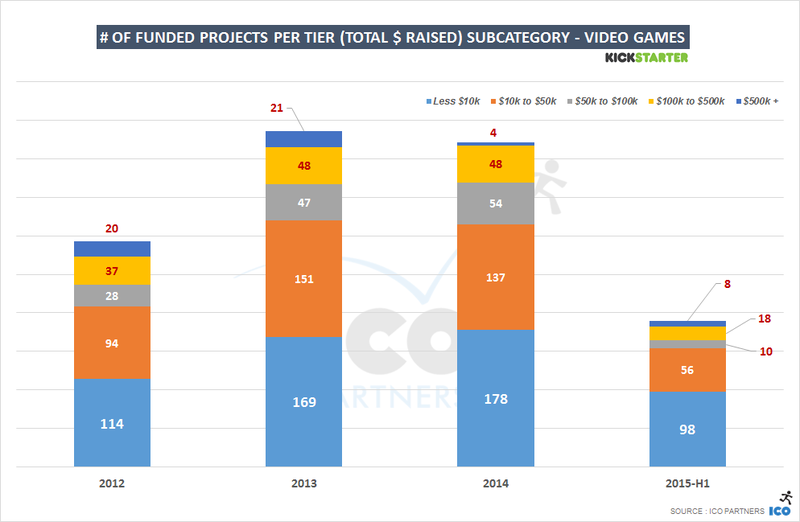 I keep an eye on projects though, but that doesn’t allow me to get a proper grasp of the trend… This 2nd Quarter of 2015 has been particularly active, with lots of big projects doing really really well (and remember, that’s even before Shenmue 3), so I was going into the spreadsheets with that in mind, and expecting a strong rebound for video games on Kickstarter. Unfortunately, I was very wrong. 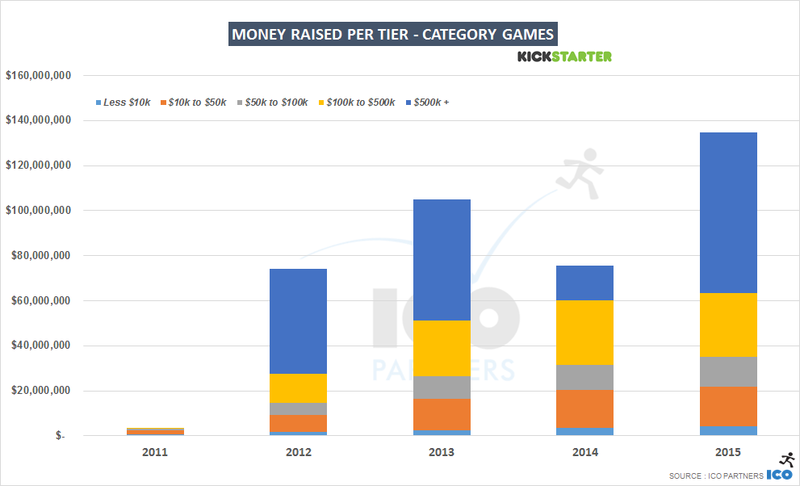 Kickstarter changed the way creators can categorize their projects in April 2014 and added new subcategories to the Games section. 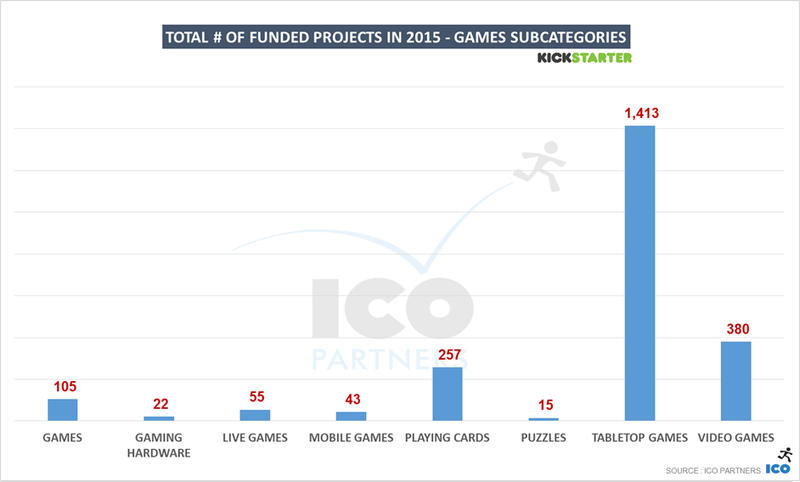 The data presented only includes projects that ended before the 1st of July 2015. 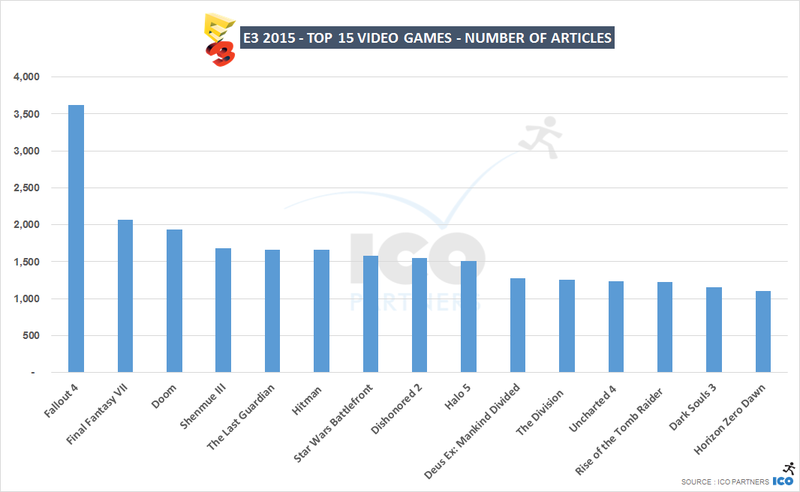 So yes, it is already much bigger purely with the Shenmue 3 campaign. All amounts are converted to USD. However, I used a fixed exchange rates and the data is spread across many years, with wide variations in the real exchange rates. I have changed the definition of money raised. 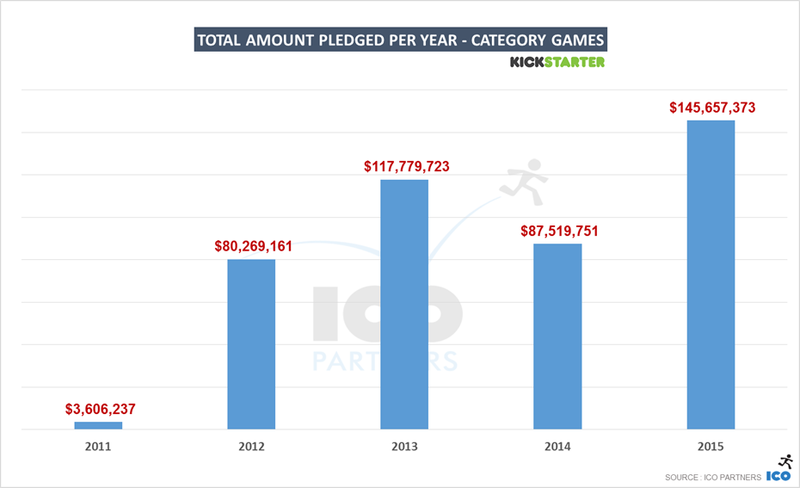 I used to take all the money “pledged”, but this wasn’t very accurate. 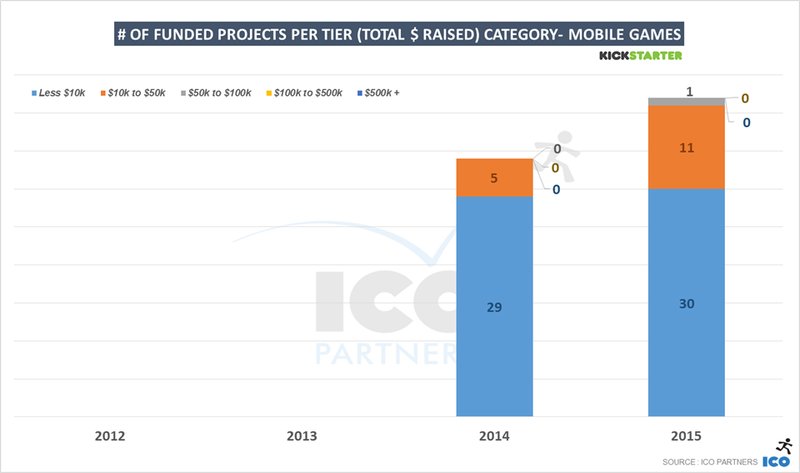 I now only look at the money pledged by projects that met their goal. The data is collected automatically (thanks to our friends at Potion of Wit), sometimes some projects are missed or not properly parsed. If you run similar scripts, you may have different results. 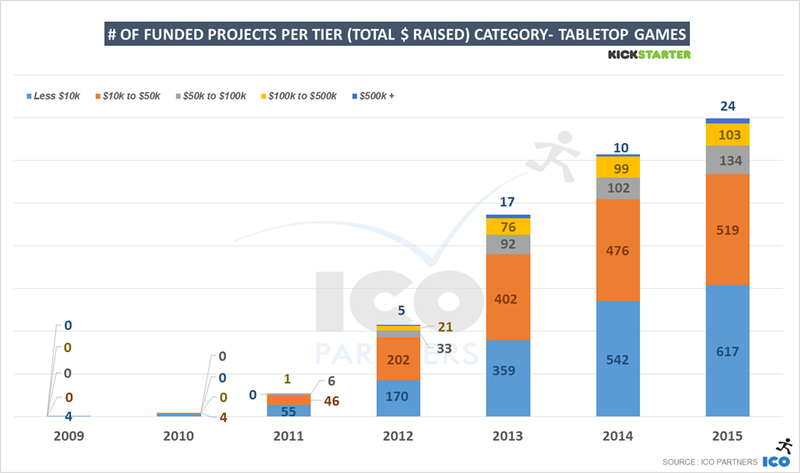 While we are only half way through 2015, looking at the year so far is a good way to get an impression of the current trend. 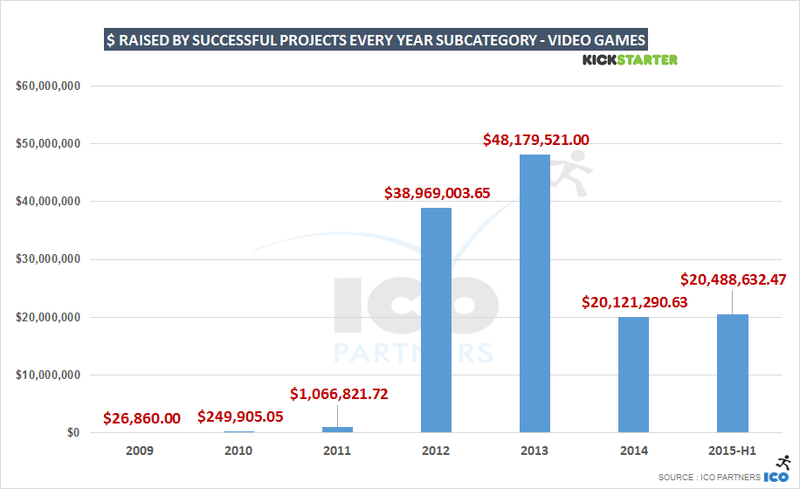 The majority of the money raised by video games was through very large projects. 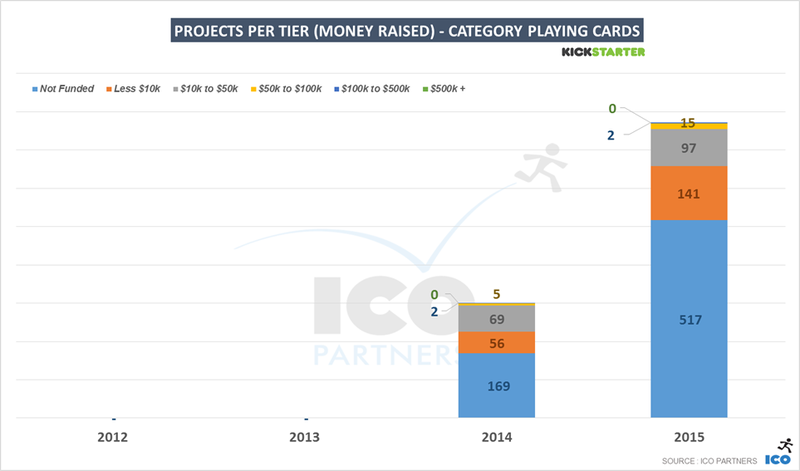 If the current trend continues, projects that raised less than $500,000 are on track to garner less money than in 2014. 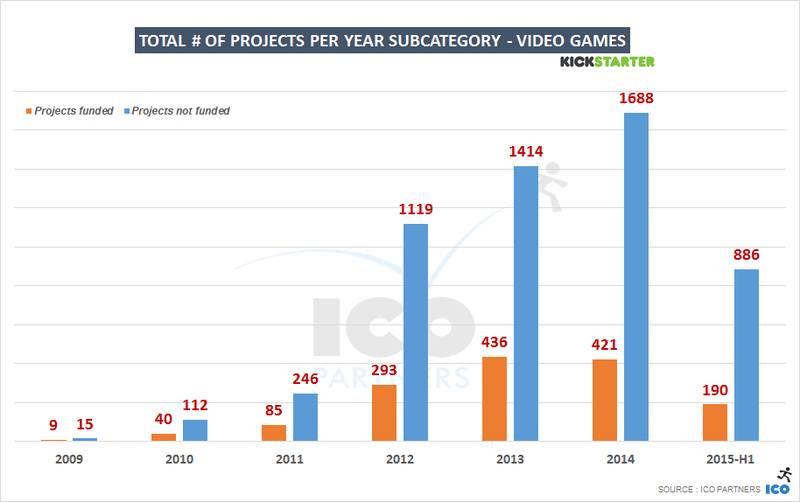 This is the same graph as previously, without the $500k+ projects. 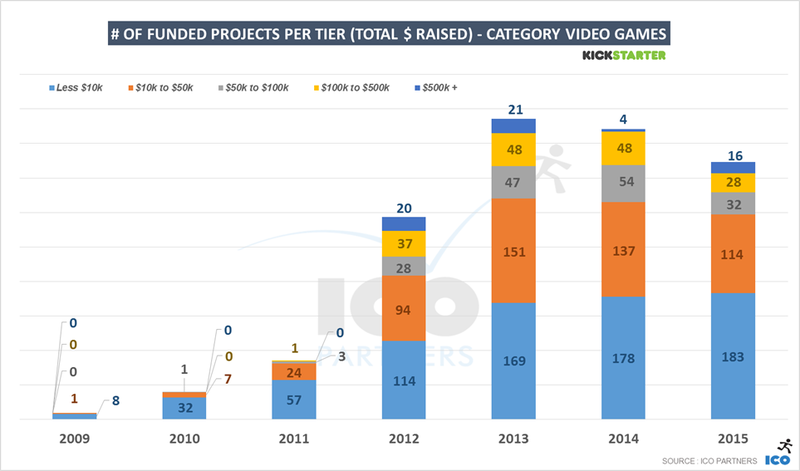 While projects under $10k might be on track to raise an equivalent total as in 2014 (or a bit more even), projects between $10k-$50k, $50k-$100k and$100k-$500k are underperforming compared to last year. 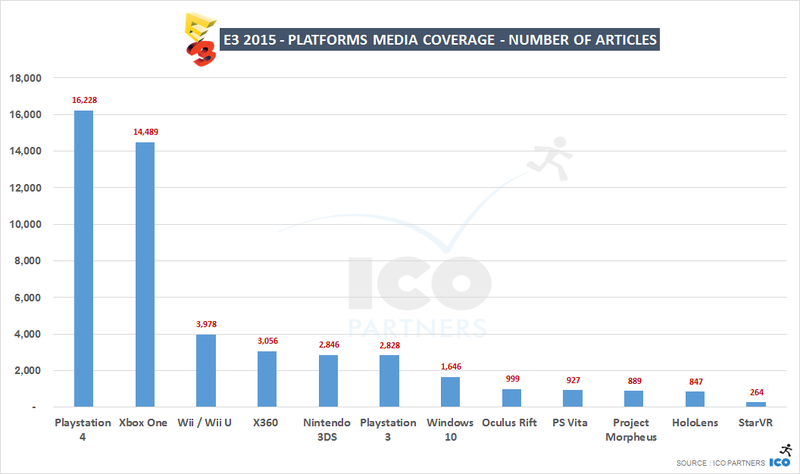 If anything, I don’t expect as many big projects for the second half of 2015. But, wait! This isn’t the only way to look at it? 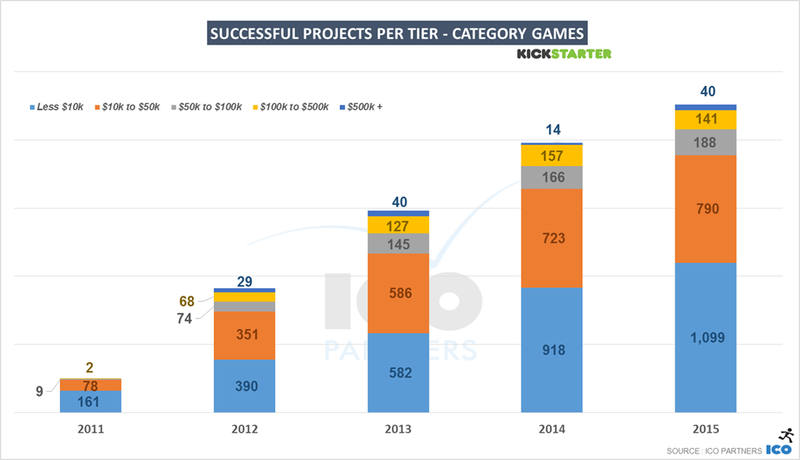 Maybe there has been fewer projects overall? 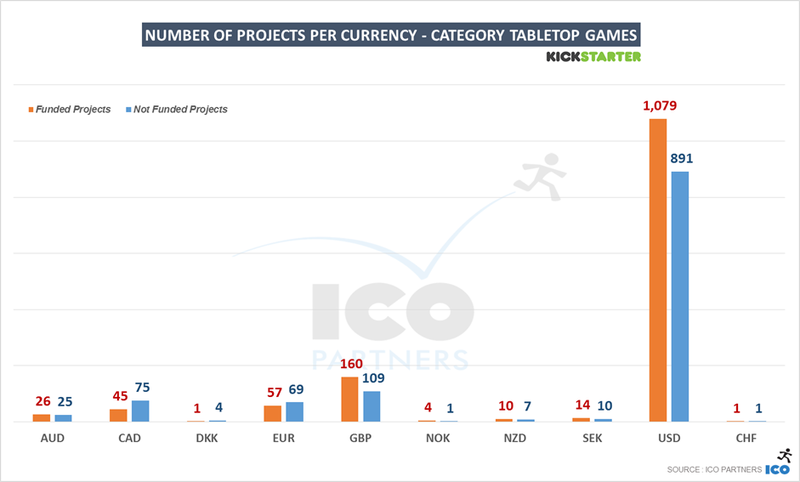 If we can imagine more projects than last year to get funded (or in the same range), it will be thanks to the steady growth of the small projects (the ones below $10k; for those, Kickstarter is getting stronger with time I suppose). 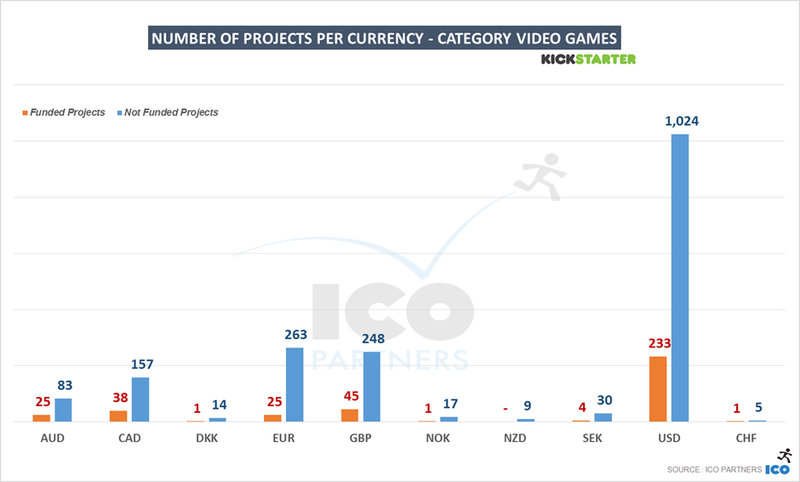 But overall, the total volume of projects submitted to the platform is growing, meaning the proportion of projects getting funded is going down. 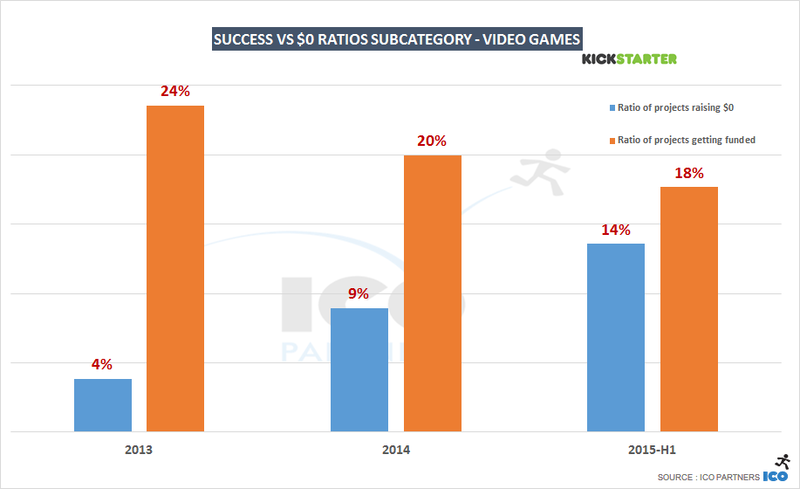 So the “success rate” is going down? How bad is it? 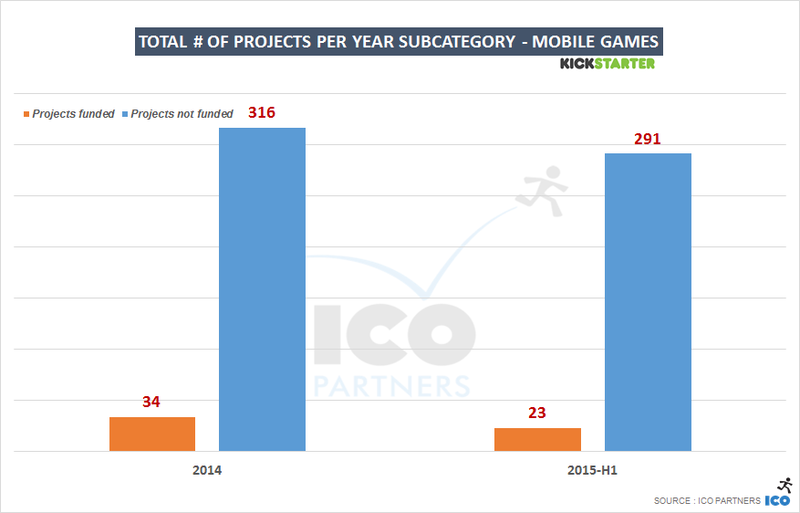 To be fair, this is more a symptom of Kickstarter just getting crowded, sometimes with very low quality projects. 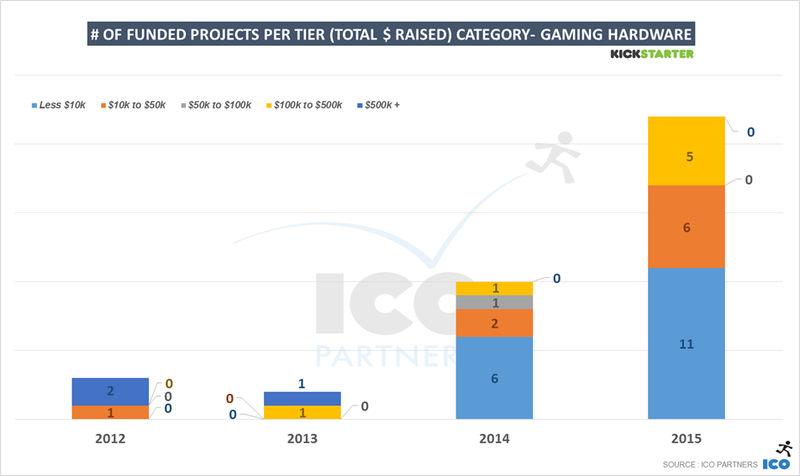 In 2015, we are getting a smaller proportion of projects getting funded, while the proportion of projects that got $0 pledged to it is increasing. $0! 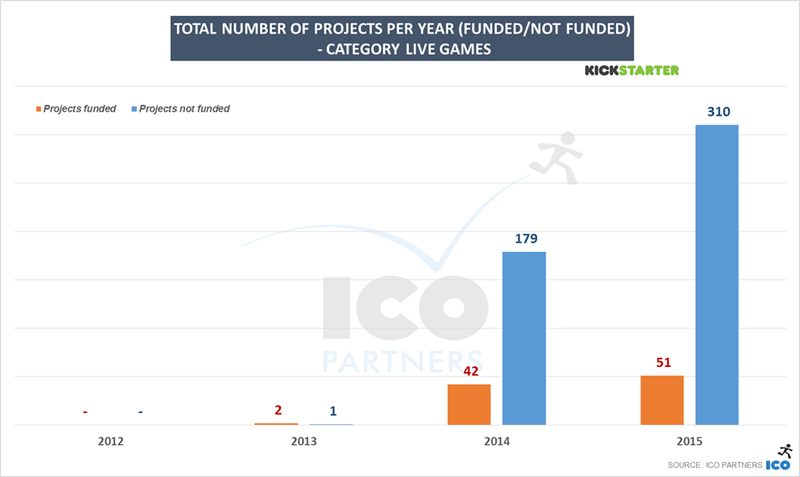 It means even their mums didn’t support their project… That’s almost 150 projects at $0 pledged in the first half of 2015, against 189 for the whole of 2014. 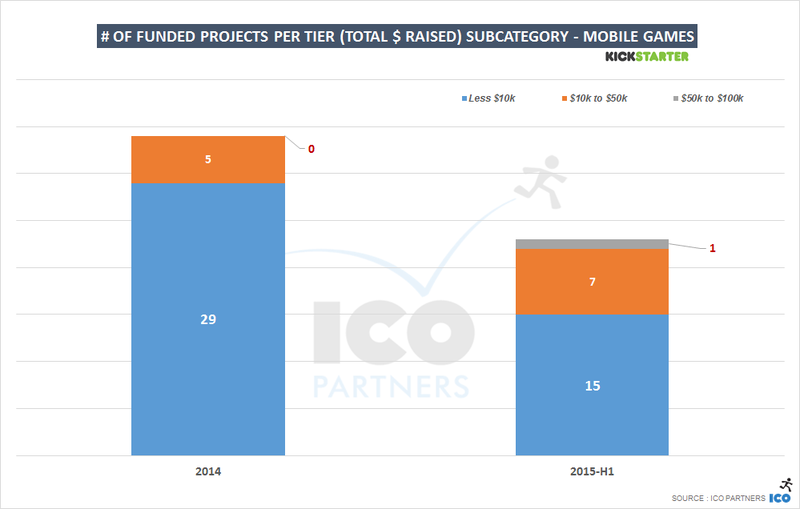 This emphasises the burden on project creators to promote their projects as the discoverability on the platform is not helped by those low quality projects. 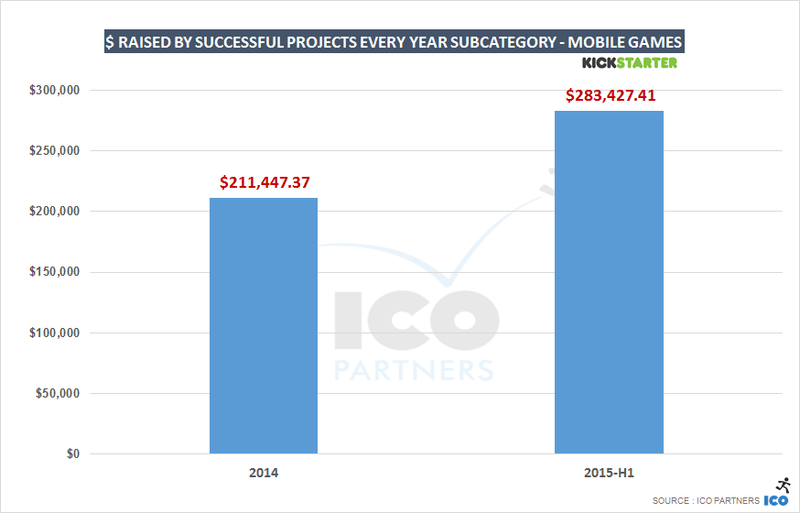 But, Thomas, you are not accounting for the mobile games you said? Maybe it is changing the trends? 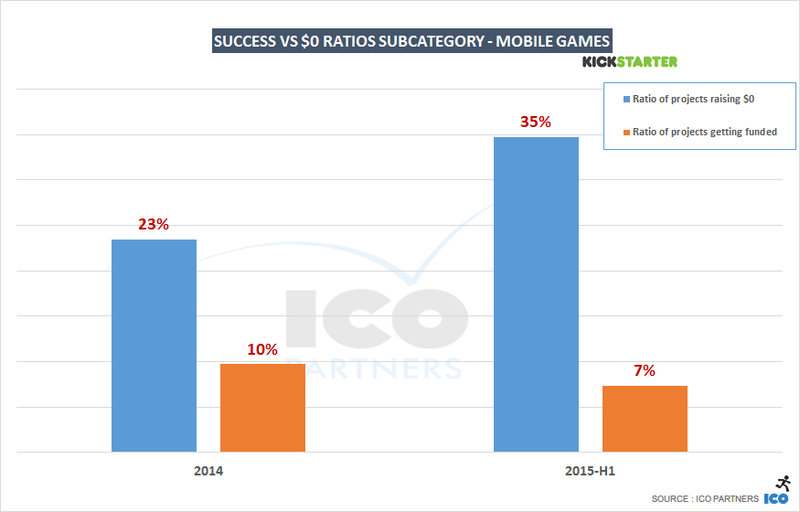 Let’s look at mobile games then. 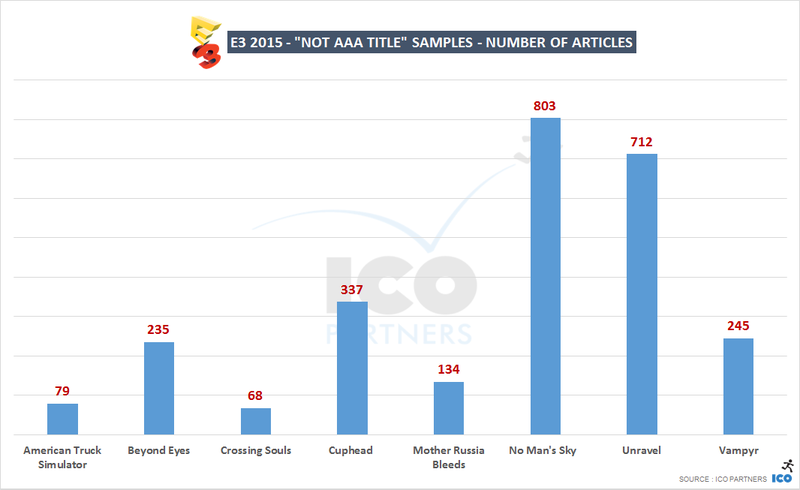 It was introduced as a new subcategory in April 2014, so please remember the numbers for that year are only partial numbers. So, how big are mobile games on Kickstarter? 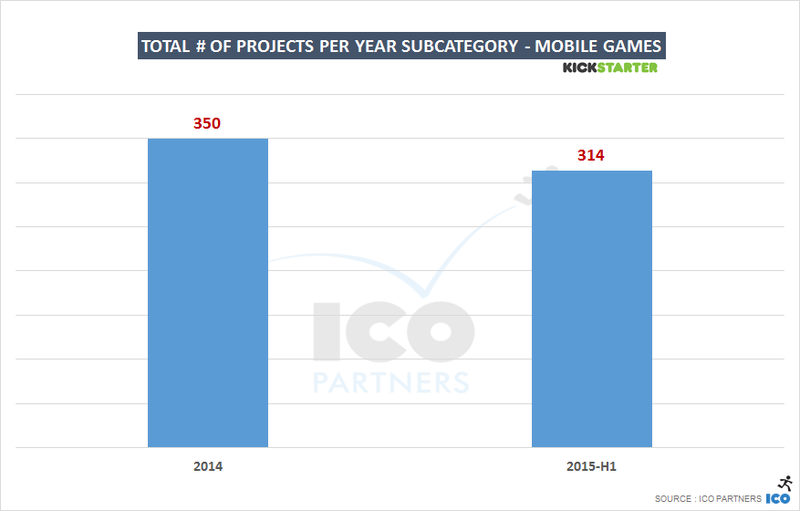 So, for every mobile game project, you have 3 video games projects. That’s actually a lot! 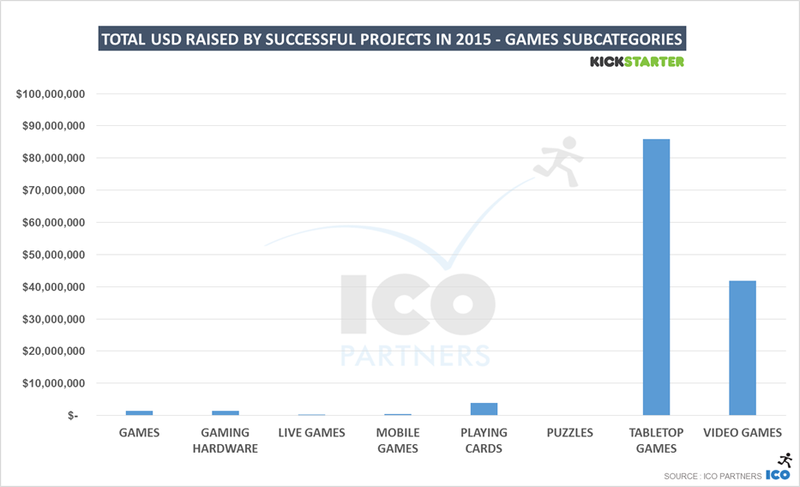 In 2015, video games raised 70 times more money than mobile games. 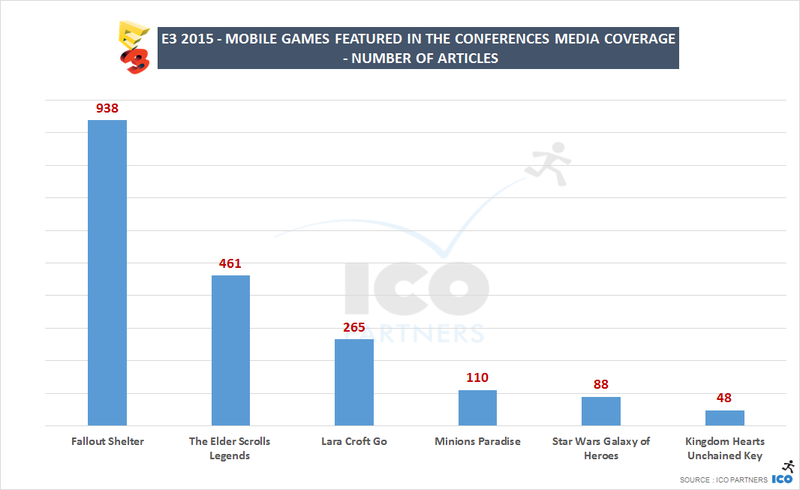 In conclusion, Mobile games are not where the secret success of video games is hiding. I wish I knew. I don’t like the trend. 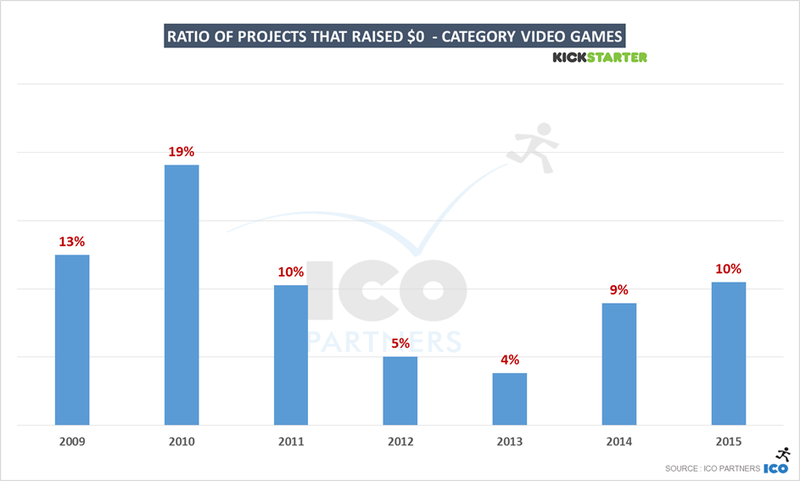 While Kickstarter is growing (more projects gets funded; more money is pledged) this growth is at the extremes: very small projects and very large projects. Here I was hoping that the wave of big projects would benefit projects across the board. 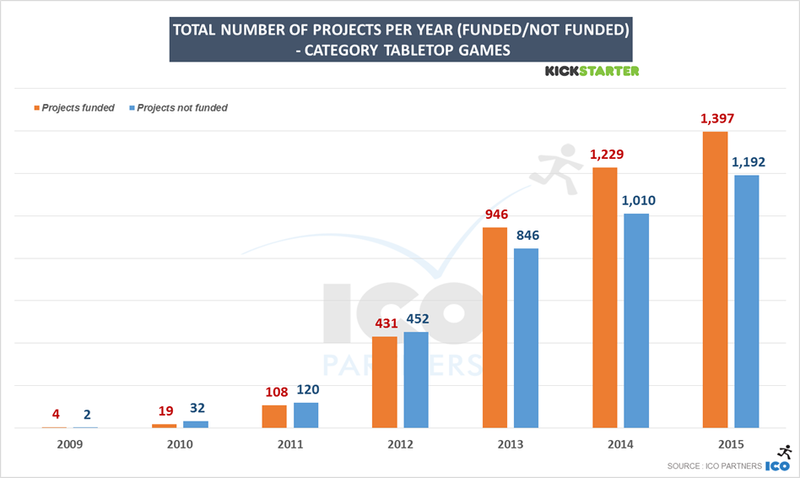 The Kickstarter fatigue is real and the large projects didn’t make it disappear, and it might be affecting mid-size projects the most. If anything, the big projects are hiding the issues. 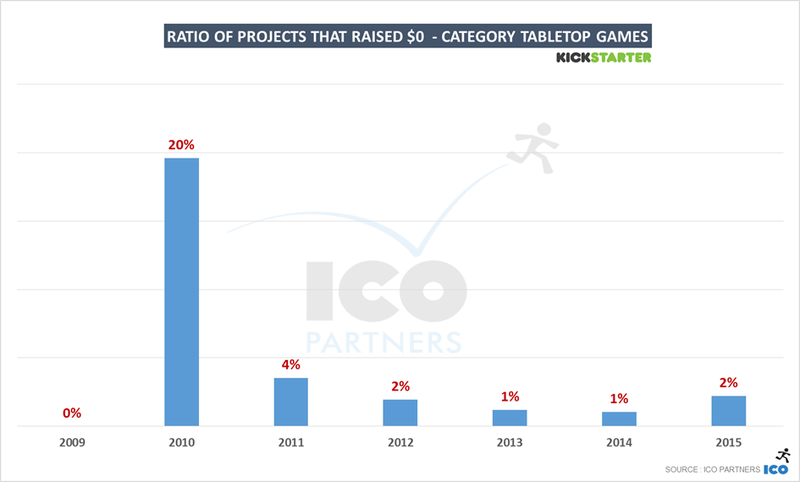 Mid-sized projects are in that odd budget range where it might either feel too expensive for what the game is, or too cheap for its ambitions. 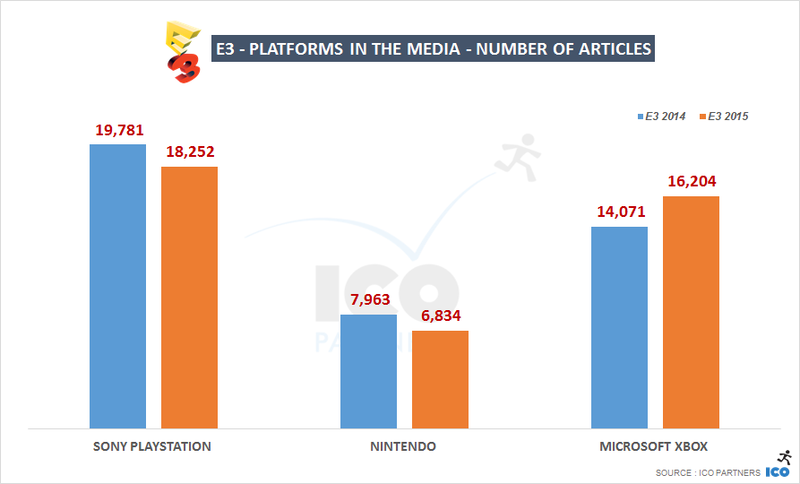 If you compare industry budgets to make PC and Console games (the platforms that are relevant to crowdfunding), those mid-tier budgets are actually very low. 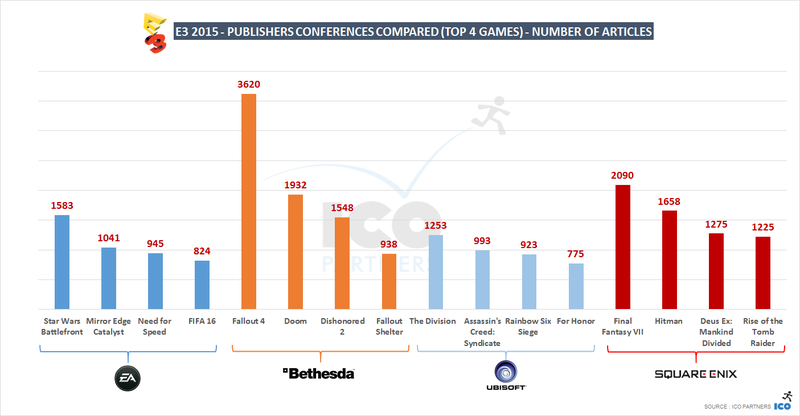 Most PC games these are probably above $500k than below. The audience might be wising up to this and prefer to go for the project closer to their full budget cost (which is arguable as I believe the Kickstarter “hits” are as under budgeted as the other ones). 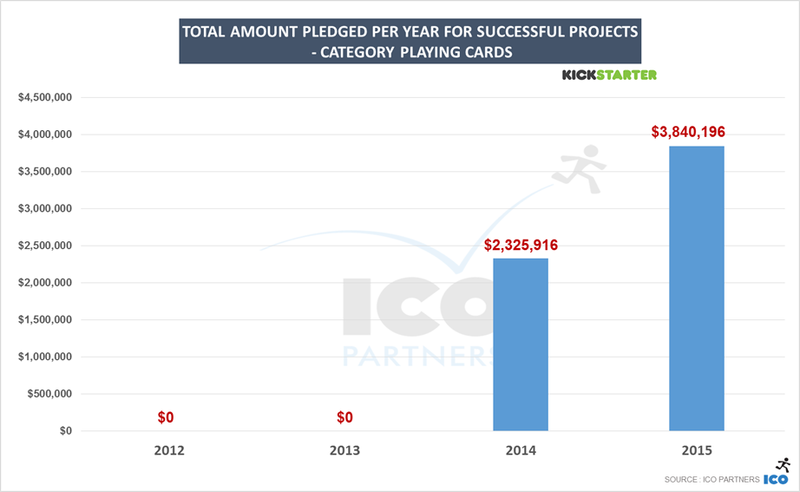 There might be a lot happening outside of Kickstarter. 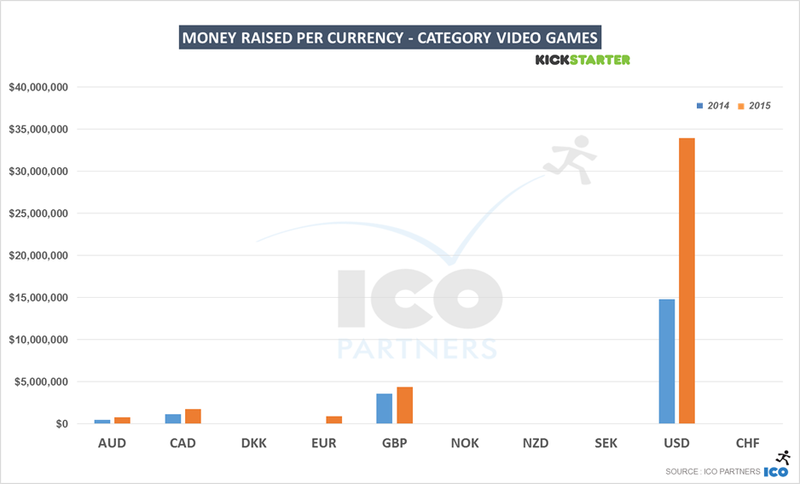 The last time I properly checked the other platform and their relative weight for video games on the crowdfunding space, they were representing an incredibly small proportion of the projects (both for number of projects and the $ amounts raised). 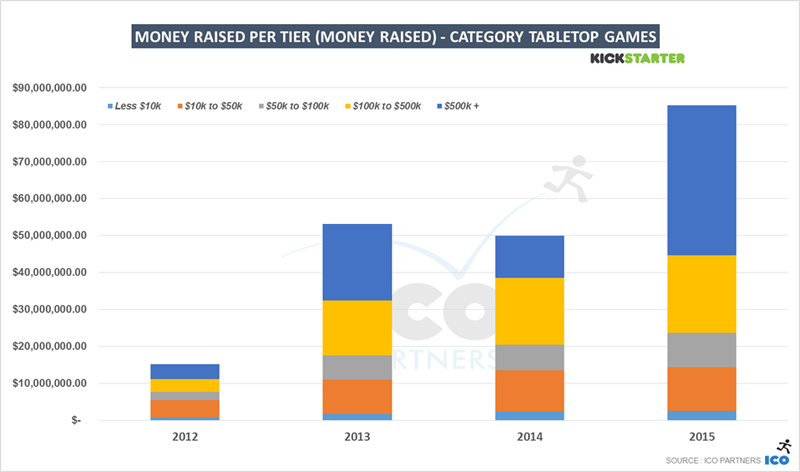 it might be time for me to do another pass on Indiegogo and see if it has increased its market share. Overall, I think this is a maturity issue. Big projects go for low hanging fruit, using their brand power, and small projects are struggling to build a proposition where they can make the audience care about them. 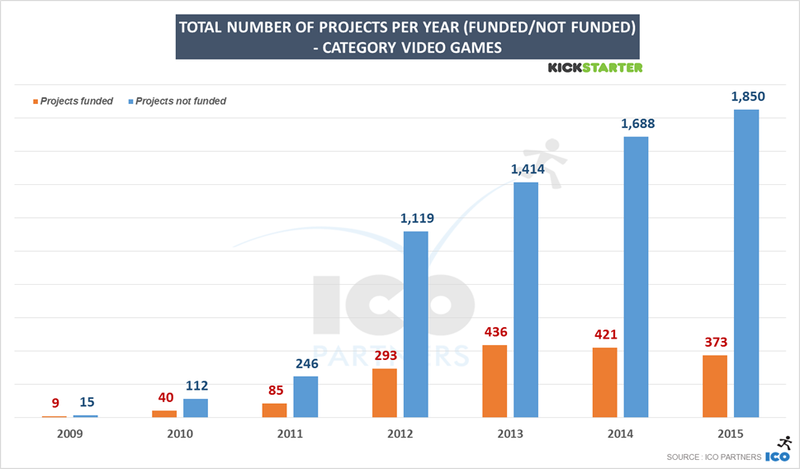 This is a shame, there is still so much potential for crowdfunding to grow, but there is a need for better best practice to be implemented across the board. 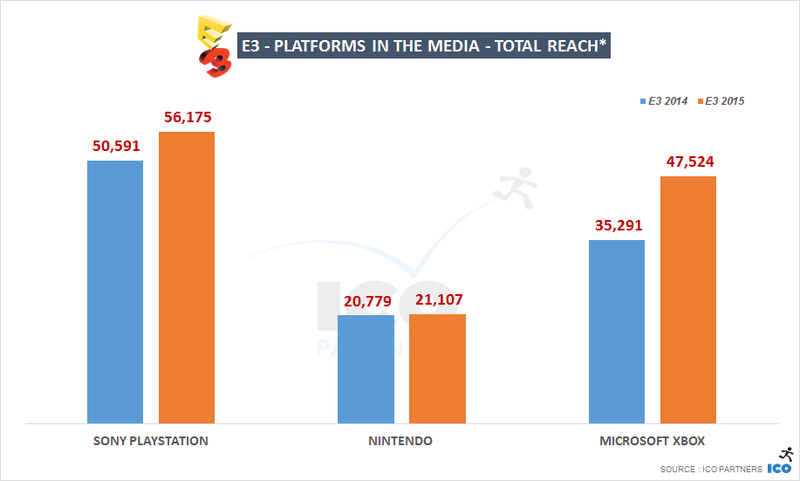 That’s also true for large projects: I can’t believe Shenmue 3 was so successful when the campaign was poorly put together and terribly mismanaged (if you want examples then feel free to seek me out at the next conference I am attending). 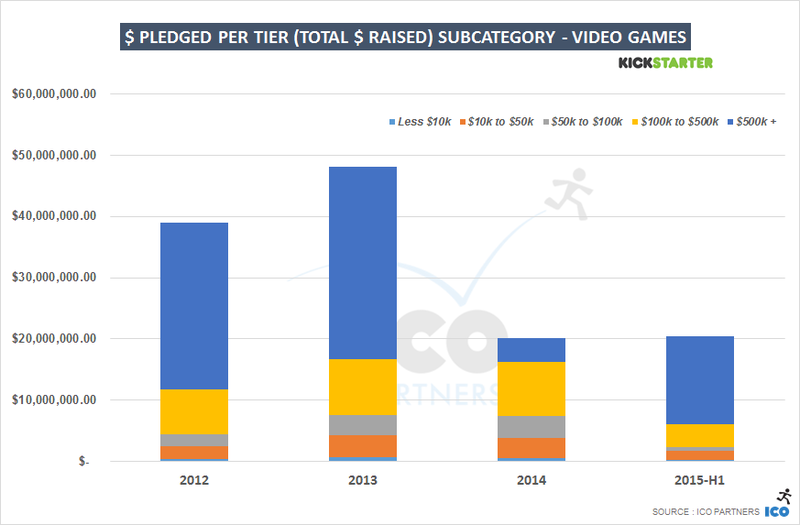 Crowdfunding sceptics have another great case study of fans being mishandled; potential projects creators will have wrong expectations based on that performance. The ecosystem needs a “growing up” moment, probably starting with more transparency.